I've been working on a handful of straight conversions just for my own personal enjoyment of playing them, instead of hoping for full release; you have no idea how much time this is going to save me. Thank you! Hey xtreme, thanks for bringing this over from the UT3 forums since I don't spend much time over there any more . Keep up the great work on this! Looking good. I like that it converts playerstarts and pickups (saves a lot of time over using the UDKConverter) but I wish it had more precise scaling options. It'd be nice if we could use more exact scaling factors that fit the grid better (UDKConverter does allow this). For example though a scaling factor of 2.2 is roughly what you want for UT99 maps, it's an odd number, nothing fits a 10s grid when scaled by 2.2. On the other hand 2.1875 is very close and fits the grid much better. Though smaller detail brushes might be off the grid lines, any brushes using multiples of 16 (which is most brushes) will fit the grid perfectly. 16 x 2.1875 = 35 on the 5's actually but that works fine with a 10's grid. Also a trick that works well for UT2k4 static meshes is first convert them to brushes in UT2k4, save (in a temp file not the original map!) and run the converter on that. Then import into UT4, texture it, scale it, edit it however you want as BSP and then convert back to static mesh. Last edited by MoxNix; 06-06-2015, 10:10 PM. The brushes being a bit weird shouldn't be a huge problem. On maps that keep the original BSP, well, they're simple enough that there shouldn't be any performance issues. For maps that go through a full update, the brushes should just be placeholders anyway. I also highly recommend http://www.wotgreal.com/ WOTgreal for converting static meshes. I have had a few small issues, but for the most part you can export them relatively easily and then reimport. That said, UT2004 meshes generally don't look that great in UT4. Thanks ! It such a great thing being to play old maps with UT4. but I wish it had more precise scaling options. It'd be nice if we could use more exact scaling factors that fit the grid better (UDKConverter does allow this). Ty for suggestions, i have added more choices for scale now. Will be on next version. I also highly recommend http://www.wotgreal.com/ WOTgreal for converting static meshes. I have had a few small issues, but for the most part you can export them relatively easily and then reimport. I could not find where wotgreat can export staticmeshes in interface. UModel seems much more advanced for handling unreal package (it even handles UE4 packages i think for read). It does export staticmeshes as .psk file. for the moment i can only try to get the diffuse texture. Thanks ! It such a great thing being to play old maps with UT4.I could not find where wotgreat can export staticmeshes in interface. In WOTgreal, just select a package that has static meshes in it, and then up top click the little icon that says Mesh with the wireframe box icon. Then check the boxes next to the meshes you want to export, and hit the .3d or .3ds buttons, depending on which format you want to use. I use umodel and WOTgreal both; I prefer WOTgreal for static meshes as it exports in .3ds, no need to try and convert .psk. WOTgreal will also export meshes from UE1 games, for what that's worth; they are too low-poly to be used directly, but are useful as templates in creating new models. WOTgreal doesn't support UE3 games afaik though, so Umodel is better there. Which game from? Did you set the right ut game folder in settings? Check this file is present. 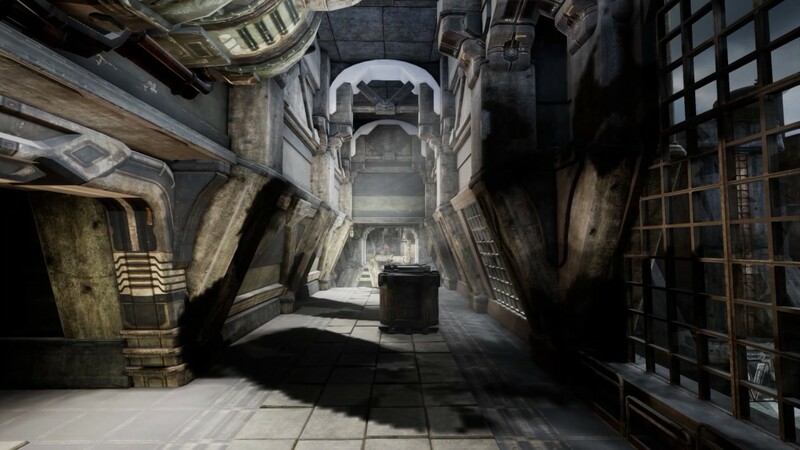 For Unreal 1 latest patch from www.oldunreal.com is needed. Last edited by ШιητεЯΙsСσmιηɡ; 06-09-2015, 12:25 AM. I'm having some trouble with adding back the skybox due to the difference between additive and subtractive geometry. Do you have any tips for this? This is neat, What about a Quake converter? Quake 1,2, 3 & 4 to UT? My surfaces aren't textured, only the textures are converted to TGA-files, is that right or should the textures get applyed to the brushes/surfaces (or converted to a material) in the import process? You have to import the textures, make materials out of them and put them in the right folder first... Before importing the t3d map file. Watch the arcane temple conversion demo XTXP linked in the first post, it shows you exactly how to do it right. I've only tried importing textures for converted maps since the 6-26 editor build, some of the surfaces didn't come out properly aligned (the same material would be perfectly aligned on one surface but not even close on another). I think that might be a problem with the material alignment bugs in the editor itself that were introduced in the 6-26 build. Maybe someone who used the conversion tool before 6-26 can shed some light on that? Last edited by MoxNix; 07-03-2015, 06:37 PM.